Creating and running a craft blog is much like starting any other business. To make it profitable, you have to invest a certain amount of time, effort and money into your venture and be prepared to see it through. Blogs have the edge over traditional businesses in that they’re easy to build and maintain and they require minimal startup costs. However, that doesn’t mean they’re easy to monetize. There’s no one secret to creating a profitable blog, but there are certain things you can do to increase your chances of success. For starters, the presentation of your blog will have a significant impact on its readability, and therefore its ability to generate income. Internet users are visually driven, and their attention spans are getting shorter, so website design has never been more relevant or important. 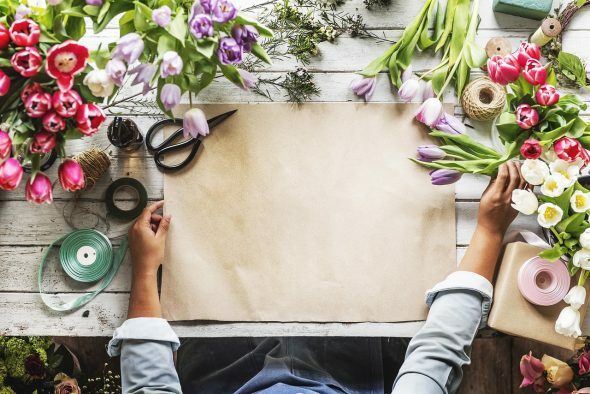 If you want to start a craft blog that attracts an audience and makes you money, follow these tips. High-quality content is instrumental to your blog, but no one will bother to read your posts if there’s no visual appeal or a catchy headline. Images and post titles are the first things your readers will see. These components of your blog will determine whether or not people follow your social media links or click on your Pinterest images to read your content. Gaining subscribers doesn’t necessarily mean earning money, but amassing a following is vital if you want to start earning from your blog. Adobe Spark banner creator to add text to your images. Content management platforms like WordPress and Blogger offer free website themes, some of which are more basic than others. It’s fine to use a free theme when you’re just getting started, but you’re going to have to up the ante if you want your blog to stand out. It’s worth exploring a well-established site like Studio Press, but those looking for more feminine themes that are perfect for craft blogs can also try The Pixelista. Premium themes can cost you anything from $50 upwards, but it’s a relatively small investment to make if you’re serious about monetizing your site. Too many ads will make your blog look cluttered and unappealing. They will also slow down your page’s loading time and frustrate your readers, especially if there are lots of pop-ups. Keep your page clean and focus more on building engagement with your readers than making money through ads. There will be plenty of opportunities to work with brands and promote products once you’ve built up your subscriber list – until then, however, having ads on your site is pointless, and they will ruin your credibility before you’ve even begun. PreviousPrevious post:Will Streaming Services Ever Overtake Traditional TV?NextNext post:10 Smart Hacks to Save Time in Morning for Working Women!